The wrapping paper has all been torn apart and discarded into the recycling bin. The tablecloth has been bundled up and put in the laundry hamper, while all the leftovers have been wrapped up and stored in the fridge. The tree now looks bare beneath its branches with the presents unwrapped and sitting on tables, couches, and countertops. The day we anticipate for all of December has come to a close – and was it everything you dreamed it would be? Did it live up to the expectations? 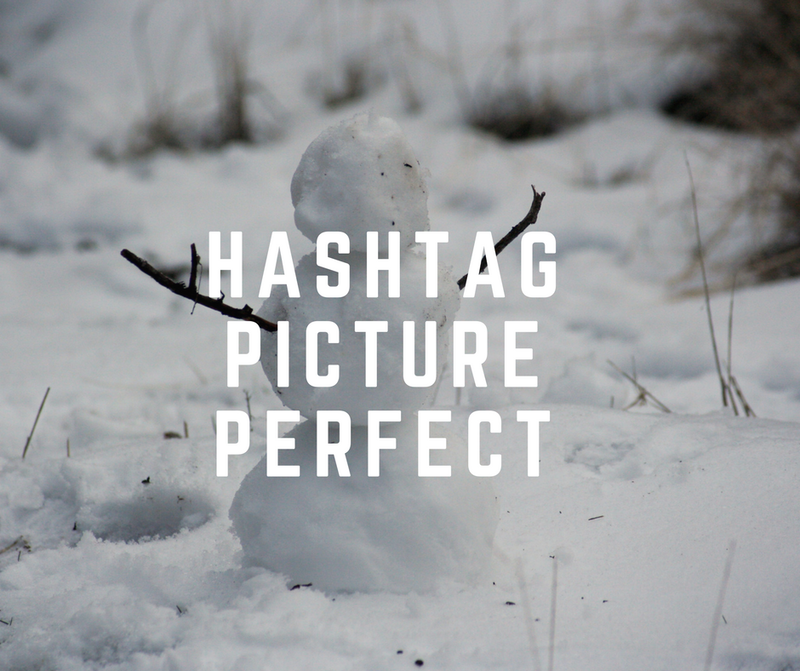 Was it picture perfect – Instagram worthy? For so many years I had this idealistic vision of Christmas day which I would construct in the days leading up to it. I would imagine the scene exactly the way I wanted it to be, then I would imagine taking a picture of it and posting it online and everyone would love my beautiful life. And then the day would roll around and someone would be sick or late or crabby (usually me because things weren’t going according to my pre-planned vision), and Christmas day wouldn’t line up with how I thought it was supposed to be. It certainly didn’t line up with how everyone else’s Christmas day appeared to be going on social media. There is so much hype built up around “experiences” – traditions – warm fuzzies – Christmas-card-worthy stories – and I always seemed to buy it. I’d do the countdown and the decorating and the checklist of “Christmas traditions” and I would expect that it would bring me joy. Because after all, if you follow the Christmas formula of family, food, presents, snow, and games then you get the result of happiness, right? Well, except life is actually not that predictable. It can be – and so many times it is. But there will still be selfish hearts that get in the way and demand perfection. There will still be irritations, sometimes the dog eats half the pie on the counter before you realize it (that was actually Thanksgiving several years ago), and sometimes the little ones throw a fit because they wanted more presents. Not the kind of reality that we like to Instagram about. But the reality that reminds us that life isn’t always hashtag picture perfect. And you know what I had to realize a few years ago? Regardless of whether or not my Christmas happens the way I wanted it to, I need to be thankful for the experiences that I actually do get to have. So maybe your Christmas doesn’t look exactly like everyone else’s. And maybe it doesn’t look exactly the way you wanted it to. Or maybe it does. But are you so focused on that one picture-worthy moment that you miss all the other ones happening unexpectedly? The ones you’ll remember for years to come – like that moment of anticipation right before you start eating a mouth-watering Christmas meal? Or that moment when everyone is laughing so hard over the ridiculous stories produced by Telephone Pictionary? Or that moment when you go for a walk with your sister and drink in the fading pink skies over trees that look topped with dollops of frosting? Or that moment of utter hilarity because of all the duplicate gifts we got each other this year? Or maybe just the moment of savoring the Christmas story the way your dad has always read it every year before you open gifts? Some things never change. Some things do. But I’ve learned that the best way to love a Christmas experience is by looking back in gratitude on what did happen – instead of looking forward in expectation for something that may or may not happen. Some things we always make sure to have, like crepes for breakfast. Some things only come about more recently, like ending the day with four siblings eating dessert and laughing together over our favorite TV show. And through it all, whether or not it was caught on camera, I’ve learned to savor each memory in my heart as a precious gift from the One who graciously gives us all things. It started with a baby in a manger thousands of years ago. And it ends with the joy of being given such a life, such a family, and such a day as today, because that baby came to live and die to give us fullness of joy in Him. I will be grateful for what I was given today, not anxious and griping over what I didn’t have or the fact that it’s now over. Because He’s my true gift – my joy and my delight. And if I have Him, then everything else is frosting on the cake – frosting that might be a little messy and uneven, but still sweet in every way. And that will always be picture perfect.